So, the latest issue of the Chaosium e-newsletter announces the news that my friend Jim Lowder is now in charge of their fiction line. 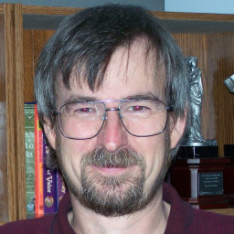 Jim's a good guy -- I've known him since we were at Marquette in the early '80s, he as an undergrad in the honors program and I as a grad student working on my PhD while sneaking off to look at the Tolkien manuscripts in the archives in my spare time. Together we survived The Science Fiction Class of Doom (more about that some other time), having found a shared interest in fantasy, roleplaying games, and King Arthur. * Later on he became the first person I knew who worked at TSR, and gave me good advice when I eventually came to apply for a job there myself. He's also an experienced editor and designer, both freelance and in-house, with a long string of successful anthologies to his credit, and a longtime advocate for creator's rights, especially when it comes to things like work-for-hire, royalties, and reprints. Here's hoping he can revive Chaosium's fiction line, which put out some interesting collections in the '90s but has rather languished of late. I look forward to seeing what new releases they have in store. current reading: THE PROFESSOR AND THE MAD MAN by Simon Winchester, an interesting and annoying book about the creation of the O.E.D. So, just before leaving for Kalamazoo I got a message from my local Barnes & Nobel that an item I'd pre-ordered had come in: RISE OF THE DUNGEON MASTER: GARY GYGAX AND THE CREATION OF D&D by David Kushner (text) and Koren Shadmi (art). 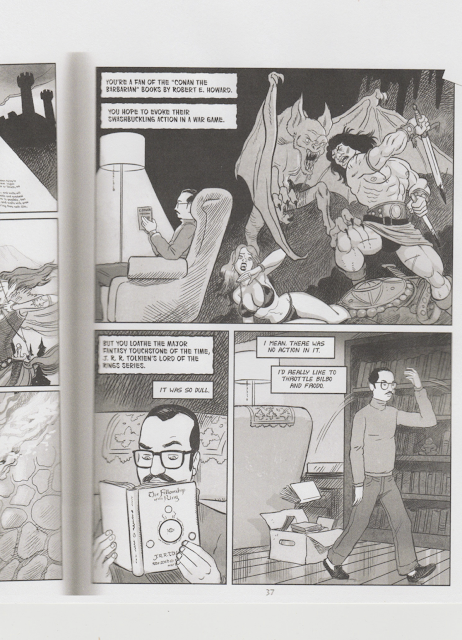 Essentially this is a biography in graphic novel form, with word balloons sometimes representing the biographer's narration or commentary and sometimes the thoughts of the character being shown instead—usually Gygax but for one chapter switching over to Arneson (co-creator, with Gygax, of D&D). Often these bits of text sound like they're answers to a question, which is because many of them were taken from interviews. Throughout their book Kushner & Shadmi try to be fair to both Gygax and Arneson, admirably so. There are few pure villains in their account (excepting the Blumes, whom they lambaste), which makes their unabashed Tolkien-bashing stands out all the more. 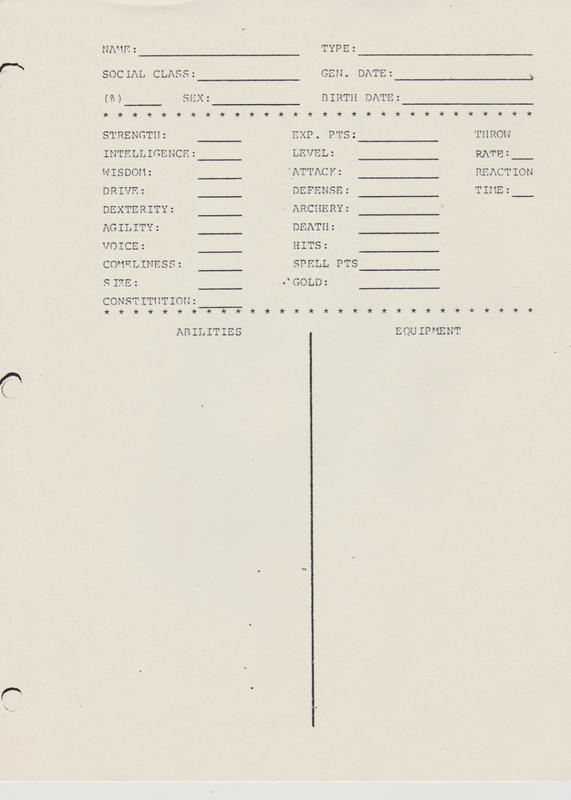 For those who can't read the tiny print, the top half of this page proclaims Gygax's love of Rbt. E. Howard's Conan stories, the bottom half his disdain for Tolkien's work. — You're a fan of the "Conan the Barbarian" books by Robert E. Howard. — You hope to evoke their swashbuckling action in a war game. — But you loathe the major fantasy touchstone of the time, J. R. R. Tolkien's Lord of the Rings series. — It was so dull. — I mean, there was no action in it. — I'd really like to throttle Bilbo and Frodo. This mainly raises my hackles because it misrepresents Gygax's relationship with Tolkien's works. First, the two greatest influences on original D&D where Howard and Tolkien. Tolkien provided the player character races, a goodly proportion of the monsters (I once worked it out to be about a third), and the whole idea of the player-character party, the plural hero. But the world in which those characters adventure, and the kind of adventures they have in them, owe far more to Howard (and Howardesque authors, particularly the great Fritz Leiber). What's more, Gygax's criticisms of Tolkien began only after Tolkien Enterprises (the movie people) sent TSR a cease-and-desist over their many obvious borrowings (mithril, balrogs, nazgul, hobbits, half-orcs) from Tolkien's work. After that point Gygax sought to distance his game from Tolkien, to deny (in the face of overwhelming evidence) any but the most superficial influence. But the flat dismissal they present here as his initial response goes beyond anything I've ever seen; I'd like to know their source. Luckily it's possible to enjoy the graphic novel as a whole despite this passage. 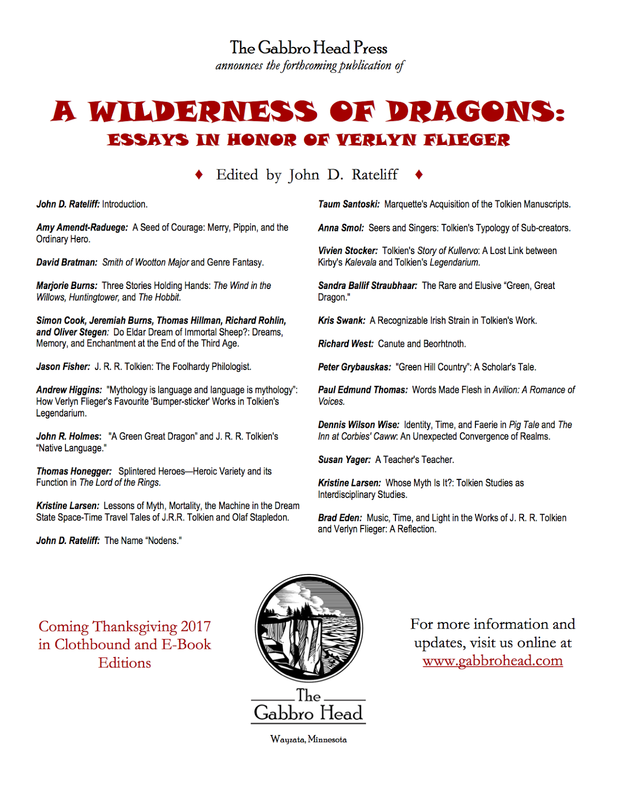 So, I'm happy to announce that A WILDERNESS OF DRAGONS: ESSAYS IN HONOR OF VERLYN FLIEGER now has a publisher, Gabbro Head Press. Primary editing has now been all but completed. The book still needs a second editorial pass, plus an introduction and index. We're hoping for a publication date before the end of the year. Here's the flyer I'm distributing here at Kalamazoo, where several of our contributors are in attendance. 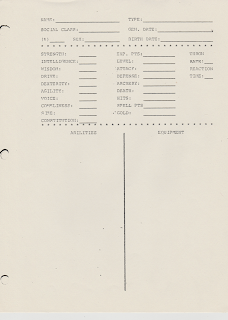 So, looking through my file of the original version I played, the one current in Fayetteville Arkansas in 1980-81, I found a bunch of character sheets. Characters tended to die very quickly in this game: no one ever advanced beyond third level because that'd make the DM have to go to a different random encounter chart, so he just killed anybody who was near leveling up (it's pretty obvious when all the monsters bypass the front-line fighters and unerringly focus all their attacks on that one character among the dozen or so in the group). --to determine Death Level, multiply Constitution by .03 and add 1, then multiply the result by your hits (=hit points). That this is such a needlessly complicated process says a lot about this iteration of the game in a nutshell -- but I did take away from it a strong belief in some sort of negative hit points system so that there was a brief window during which characters who'd fallen to zero hp or below cd still be brought back. I'm off tomorrow for Kalamazoo but will try to post some of the character generation material when I get back.